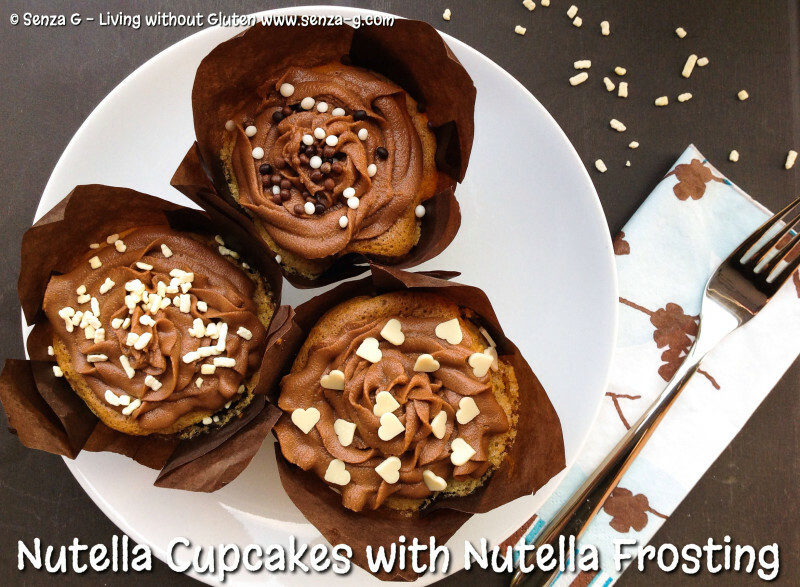 You can make this recipe either into a ring mold as a cake or else as cupcakes with a yummy Nutella Frosting! Either way it is really delicious! A very straight forward no-fuss recipe, ready in minutes! 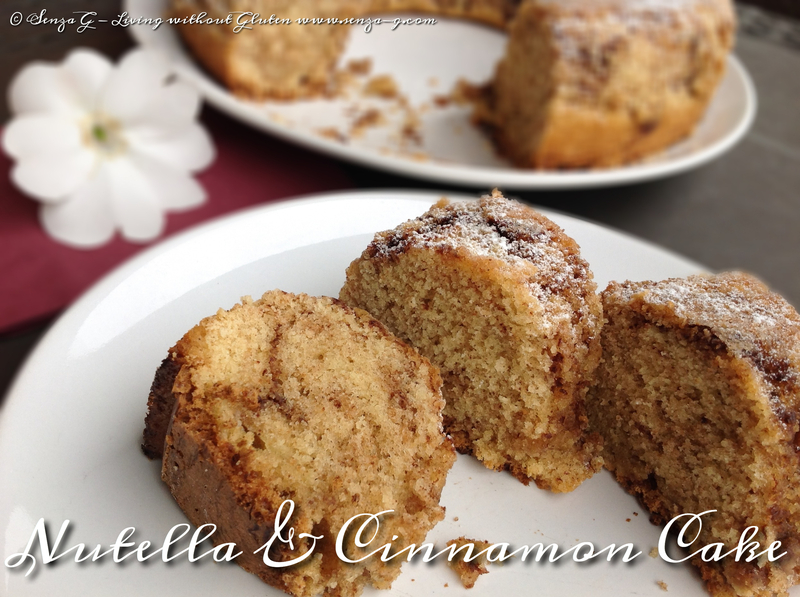 I have used AGLUTEN Flour (Miscela per Torte) in this recipe. Amounts might vary when swopping with other flour mixes. The cake is lovely simply dusted with icing sugar, but if you wish to frost the cupcakes, I am sharing the recipe below as well. This makes approx 12 cupcakes. Combine the flour, almond flour, starches and baking powder in a bowl. Grease and line a cake tin or use cupcake liners if you prefer to make cupcakes. Beat the eggs with the sugar until creamy. Add the oil, combine and then add the flour. Using a spatula, fold it in. Do not overmix. Pour the mix in the cake tin or divide equally between the cupcake liners. Melt half a cup of Nutella either in a baine marie or in short bursts in the microwave until it softens. Drop a teaspoon in each cupcake or around the cake if making a cake. Using a skewer, swirl the nutella into the cake batter. Place in the oven and bake for approximately 30 minutes or until a skewer comes out clean when inserted in the middle. Using a hand held mixer, cream the butter with the icing sugar, add the cocoa, milk and vanilla until well combined. Stir in the Nutella and continue mixing until it is lightly and fluffy. If the mix is too thick, add a couple of drops of milk. Pipe or use spatula to cover cupcakes. Use sprinkles on top if desired.